Over the past couple of years, Volvo has released a surprising number of new or significantly revised models for such a small and focused automaker. The string started in 2016 with the redesigned XC90 midsize crossover, its technology and styling themes trickling down to the S90 sedan, XC60 compact crossover, V90 wagon, and “raised” V90 Cross Country wagon. At the start of the 2018 model year, some of those see new variants or powertrains, but the real news arrives later, with expected debuts of a smaller compact crossover named XC40 and a redesigned 60-Series midsize line. Also, all 2018 Volvos come with the Volvo On Call telematics system, which includes emergency notification, remote starting and lock/unlock capabilities, and the ability to find your car in a parking lot, with the free trial period being extended from 6 months to 4 years. Headlining the changes for 2018 is the addition of a new, more powerful powertrain for the XC60 compact crossover. 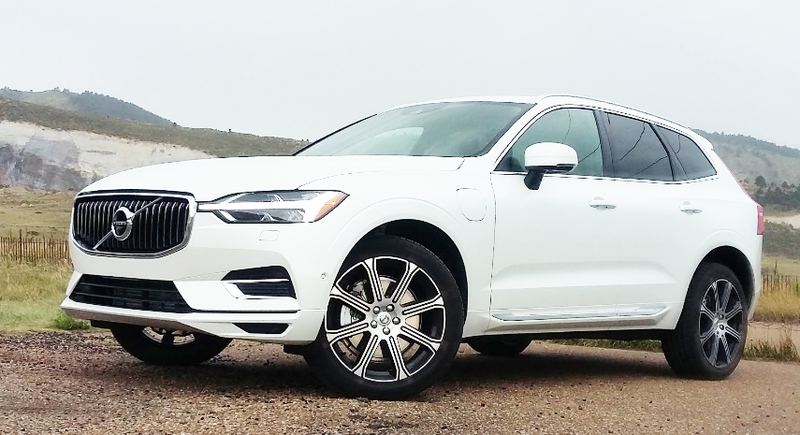 While the redesigned 2018 XC60 debuted earlier this summer, it was initially offered only in T5 (250 horsepower) and T6 (316 horsepower) versions. Added this fall is the T8, which is a plug-in hybrid featuring the T6’s gas engine driving the front wheels and an electric motor driving the rear wheels for a total of 400 horsepower. Actually, the T8 powertrain is not so much “new” as it is newly migrated, being previously available in the larger XC90. Volvo says that in the smaller, lighter XC60, this combination is good for a 0-60 time of 4.9 seconds, making it one of the quickest vehicles in the premium-compact crossover class. Very un-Volvo-like. 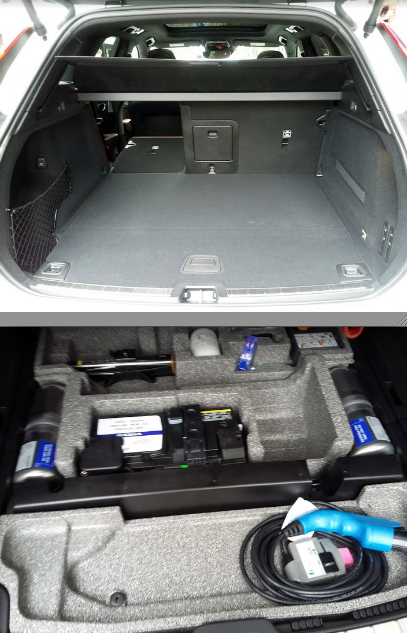 With the T8 plug-in hybrid’s 10.4 kilowatt-hour battery making its home in the center tunnel of the vehicle, cargo room remains the same as in other XC60s, and there’s a good amount of hidden storage under the cargo floor — including space for the plug-in cable. As the T8’s 10.4 kilowatt-hour battery (which qualifies it for a $5002 federal tax credit) resides in the center tunnel of the vehicle normally reserved for the driveshaft, it doesn’t steal any passenger or cargo room. So the biggest difference between the T8 and its “lesser” siblings is in performance, the ability to run for a ways on just electric power, and overall fuel economy. 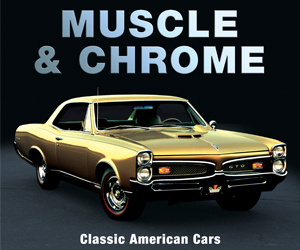 Since the EPA has not yet released range or fuel economy figures, we can only comment on performance. Like many modern cars, the T8 has a start/stop system that shuts off the engine at stoplights, restarting it when the brake pedal is released. Flooring the throttle results in a very brief hesitation before the T8 leaps off the line, and acceleration is strong enough thereafter to support Volvo’s 4.9-second 0-60 claim. The T8 offers six driving modes, with Power quite predictably providing the best throttle response. What’s not as good is the T8’s tip-in acceleration — where you hit the gas while underway in order to gain speed. In most cases – whether the throttle is stabbed halfway or fully to the floor – there’s a rather long delay before real power arrives. It seems to be quickest when given part throttle at around-town speeds, and the wait is lessened when in Power mode (which also deactivates the stop/start system and holds the transmission in a lower gear at any given speed). 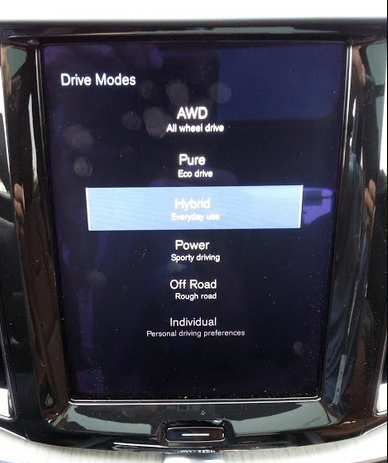 Note, however, that Power mode has to be reset every time the vehicle is started via a console button and simple three-step process. All-wheel drive is standard on the XC60, and all three powertrains are offered in base Momentum, sporty R-Design, and luxury Inscription trim levels. Base prices start at $42,495 (including destination) for the T5 Momentum and top out at $57,695 (not including options) for the T8 Inscription, but note that – due to their 10.4 kilowatt-hour batteries – the T8 plug-in hybrid models are eligible for a $5002 federal tax credit. 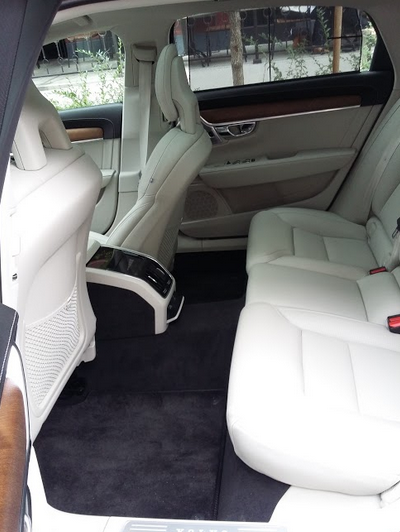 The 2018 S90’s 4.5-inch wheelbase stretch all went toward rear-seat legroom, which is … gigantic. In the photo above, the driver’s seat is set for my 5’9 frame, the front passenger’s seat set fully rearward — and tilted back. The completely new S90 debuted a year ago as a 2017 model, winning quite a few accolades thereafter. Yet just one year later, the car gets “stretched” 4.5 inches between the wheelwells, all of it going to rear-seat legroom, which grows to a limo-like 40.4 inches. Also coming for 2018 is an all-wheel-drive version of the 250-horsepower T5 model (previously offered only with front-wheel drive), along with a standard panoramic sunroof. 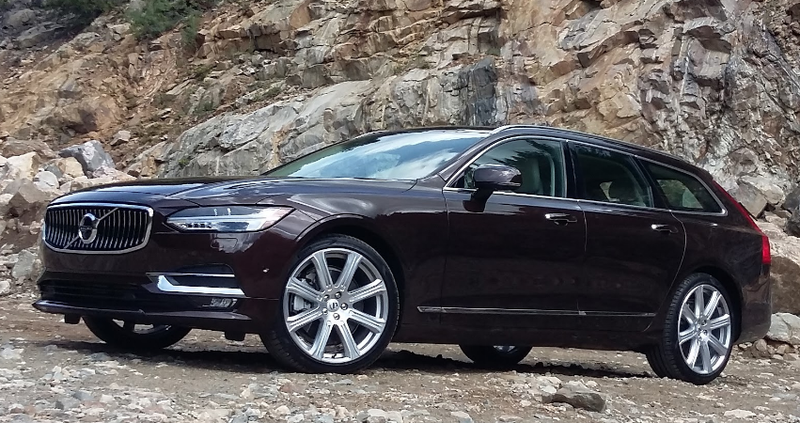 Other S90 offerings include the all-wheel drive 316-horsepower T6 and 400-horsepower T8 plug-in hybrid, both available in Momentum and top-line Inscription trim levels. Base prices start at $49,095 for the front-drive T5 Momentum and proceed up to $69,145 for the T8 Inscription. Note, however, that the T8 plug-in hybrids are eligible for a $5002 federal tax credit due to their 10.4 kilowatt-hour batteries. This is kind of odd, too. Although considered a new model, the V90 wagon is really just a V90 Cross Country (introduced earlier this year) shorn of some SUV styling cues and riding a lowered, “carlike” suspension. It’s offered only as the front-drive T5 (250 horsepower) and AWD T6 (316 horsepower) in R-Design and Inscription trim levels, with prices ranging from $50,945 (including destination) to $58,945 (not including options). But here’s the odd part. While station wagons have long been a staple of the marque, Volvo is expecting sales of only about 200 units per year, and each has to be specially ordered, with a wait time of about three months (unless a dealer just orders some “on spec”). Apparently, Volvo feels most wagon buyers will go for the jacked-up, SUV-flavored, V90 Cross Country. But to our eyes, the V90 has a certain “stateliness” that’s really tough to match, and its rarity ensures you won’t likely be seeing one around every street corner. Written by: Rick Cotta on August 29, 2017.